Orinoco’s story began back in 1909, but at that time it was just about coffee. Fast forward to today. 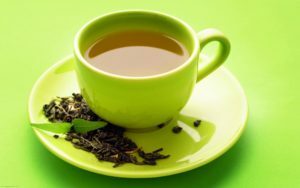 Orinoco Coffee & Tea customers will discover our selection of bagged and premium loose leaf tea is extensive and ever-changing. We offer green, oolong, black, and herbal teas from the best tea producing regions in the world. Many – such as our Masala Chai – are carefully blended in house, while others come pre-blended. Orinoco, along with our allied vendors, prides itself on sourcing the finest teas from exotic locales. Our team’s passion for finding intoxicating flavors and blends enriches and expands upon our coffee-making legacy and provides a more diverse experience for our customers. All of Orinoco’s tea products are available to be purchased in bulk and can also be packaged as private label, just like our coffee. Visit our online shop to explore our eclectic selection of products and discover a unique blend that ignites your own passion for tea. 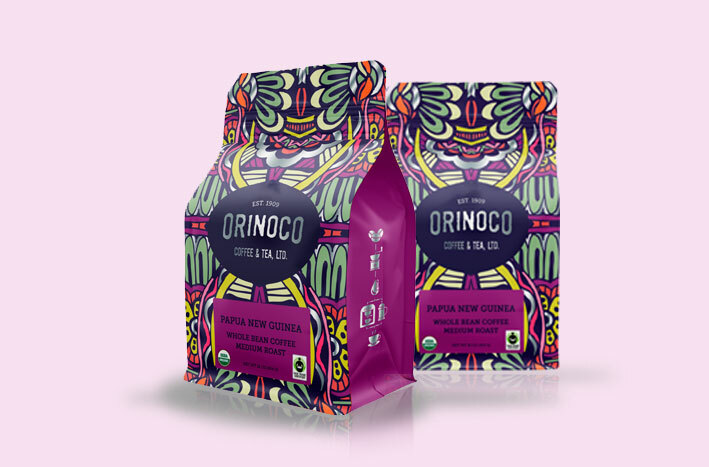 Our new organic coffee bags feature a predominantly purple and olive pattern that evokes both harmony and ambition – ideals that environmentally-conscious organic farming aims to achieve.